A trove of Monsanto’s internal records released on Tuesday raises serious concerns about company efforts to influence media reports and scientific research related to risks posed by is popular weedkiller, Roundup. Documents show that Henry I. Miller, an academic and a vocal proponent of genetically modified crops, asked Monsanto to draft an article for him that largely mirrored one that appeared under his name on Forbes‘s website in 2015. Mr. Miller could not be reached for comment. The dozens of documents include text messages and emails among Monsanto employees discussing Roundup’s safety, as well as their communications with writers and researchers. 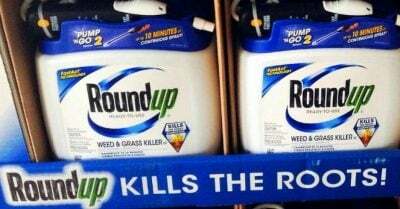 They were released by one of the law firms representing a group of gardeners, farmers, and agricultural workers who are suing Monsanto over allegations that glyphosate, a key chemical in Roundup, caused them to develop cancer. These documents follow records released in March that, among other things, revealed company ties to an official at the Environmental Protection Agency (EPA), prompting an investigation into possible collusion between Monsanto and the EPA staffer. Glyphosate, Roundup’s active ingredient, is the most heavily-used agricultural chemical in history. Although the popular weed-killer has been approved by U.S. regulators for decades, glyphosate is often condemned by environmentalists and food safety advocates, who worry about hormone disruption, and the contentious debate over whether glyphosate causes cancer—as well as its role in the “pesticide treadmill.” It was deemed a “probable human carcinogen” by the World Health Organization (WHO) in 2015, and in June California announced it would add glyphosate to the state’s list of known cancer-causing chemicals. Earlier this year Reuters published a supposedly damning story which posited that the academic who led IARC’s inquiry into glyphosate mislead the organization about his findings. Though, as Carey Gillam of the Huffington Post noted, the journalist who authored the story, Kate Kelland, relied on documents that were likely given to her by Monsanto. The documents Kelland cited were unavailable to the public at the time, but Monsanto had copies. Kelland’s story also relied on a paid consultant and scientist for Monsanto, Bob Tarone. Monsanto’s continuous effort to discredit WHO’s research, as revealed the numerous published documents, only serves to taint its own insistence that Roundup isn’t toxic. If glyphosate was truly harmless, Monsanto would not have bribe, pressure, or persuade academics to say otherwise.